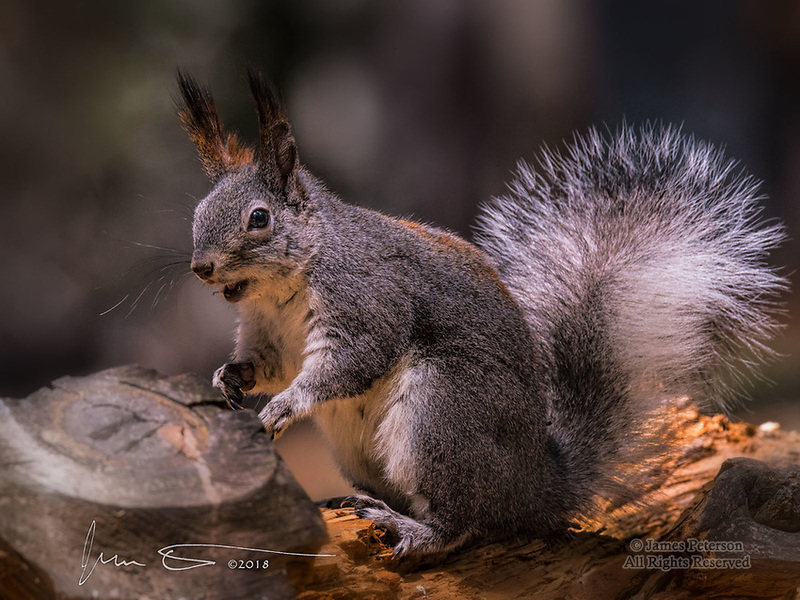 Abert's Squirrel, Mount Lemmon, Arizona ©2018 James D Peterson. This squirrel is common in many parts of the Rocky Mountain states, and its range extends into Mexico as well. But in the Santa Catalina mountains north of Tucson, it is an introduced species. That notwithstanding, it is a lively and beautiful creature with an amazingly fluffy tail.